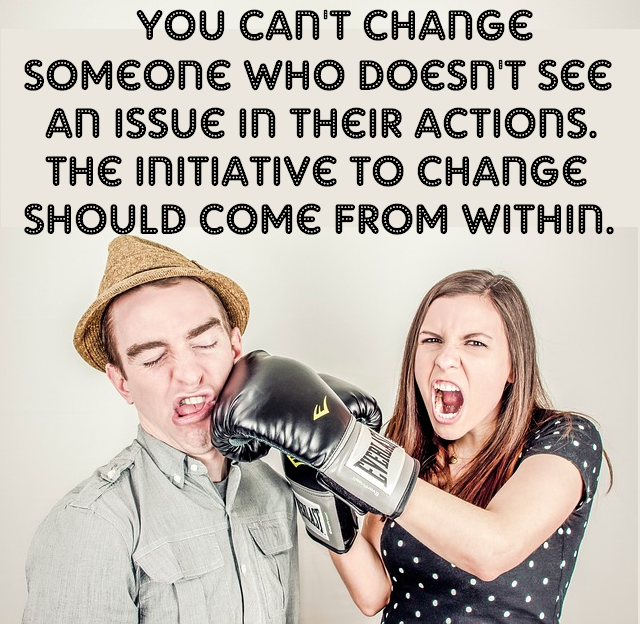 You can't change someone who doesn't see an issue in their actions. The initiative to change should come from within. You can’t change someone who doesn’t see an issue in their actions. The initiative to change should come from within.